Great for families, accommodating 8 or more people comfortably. 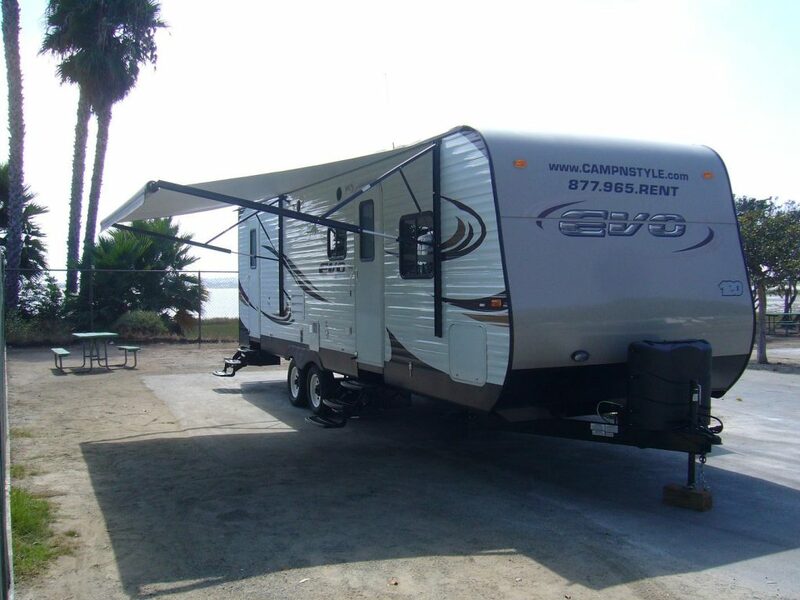 The 30′ Super-slide trailers are our newest models that we offer. 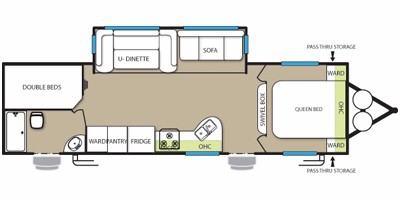 It comes standard with a full side slide-out for plenty of extra space in the living area, separate bedroom in front with a queen bed, bunk beds in the back- both being a double size, a couch which folds out to a bed, and a U-shaped dinette table that sits 6 people eating and folds out into a double size bed. There is also a skylight in the bathroom that adds more light and extra head room for the shower, and an additional door going directly in and out of the trailer from the bathroom. Please visit our Pricing/Locations page for information on pricing. Make your Camping Reservation today!